Some of the housing that was created after this realization was stationary to allow folks to stay near kith and kin and capitalize on local knowledge, but a lot of it was mobile, with the means to exploit geographical and ecological advantages where available, with the capability to move on when necessary. Ms Roke's first remarkable book, "Nanotecture: Tiny Built Things", contains many thought-provoking creations of the former type, while this excellent book concerns itself exclusively with the latter. Every single page of Ms Roke's composition features a captivating, intriguing piece of mobitectural design. Many are ultra-practical and utilitarian and there are several that are more conceptual and artistic, most are "all of the above". There are mobitectural domiciles made of practically every natural and man-made material imaginable. A large number of them are constructed from either recycled or easily obtainable materials, some are made of exotic and extremely expensive composites, most are either hand-made or factory-constructed in small batches. All of them are carefully thought out, beautifully executed and craftily artistic. Obviously one could go on and on highlighting the different styles, materials and aesthetics, however Ms Roke's book is 300 pages of distinctly.different mobitectural designs and creations and even she was capable of only just starting the conversation, but magnificently so. Once again we find ourselves in the midst of the quandary that bedeviled our earliest domicile-dwelling ancestors; a lot of people and dwindling space for them to inhabit, but of course, on a global scale. We are fast running out frontiers, at least in the geographical sense. Ms Roke demonstrates that estimable frontiers still exist but they exist in the yet undiscovered territories where imagination, inventiveness and resourcefulness merge. The landscape has changed so dramatically that many of the young people coming of age today neither believe they that they will be able to own their own home in the traditional sense, nor do they necessarily care. They read books like ""Mobitecture", follow social media sites like #VanLife, research websites like "thetinylife.com" and dream of having their own small, cozy home that they can take with them out into the world of their adventures. It should also be noted that these dreams are not just for the young and talented, those of who are older and still relatively moss-free are also very interested this new frontier. (We did, after all, excel in exploiting the Volkswagen Campmobile, the Airstream, and the truck camper to their fullest.) 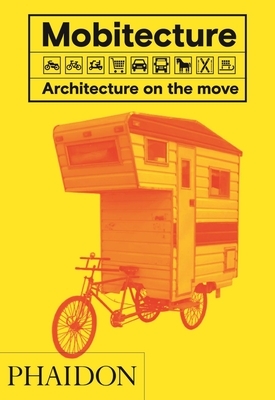 In that sense "Mobitecture" is a multi-generational composition that will inspire and appeal to anyone who loves brilliant architecture, iconoclastic design, thoughtful inventiveness, and, always, the ability to stay mobile.